How cute is this! 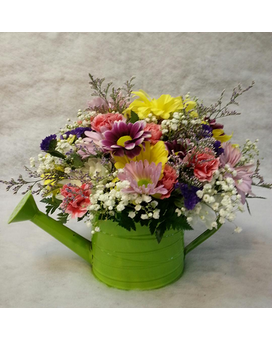 A metal watering can filled with long lasting Spring colored flowers. 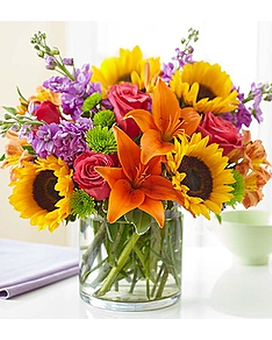 The perfect size for a desk top, end table or on your kitchen table to bring a little Springtime into the house. 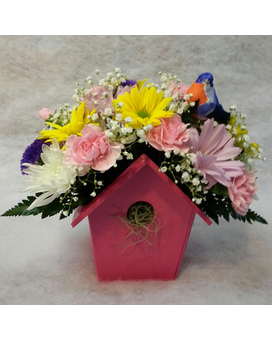 This is a Colonial Flower Shop exclusive and can only be sent in our delivery area. 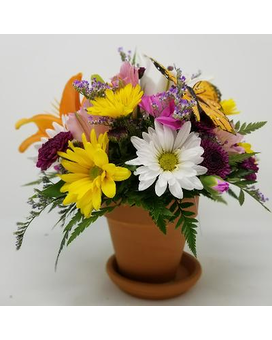 The watering cans come in 4 different colors, and are for display only.